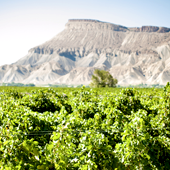 Palisade's Newest Winery is NOW OPEN!!! Inspired by our love of wine and passion for restoring, come visit our family-owned 10-acre vineyard and winery. Current offerings include Barbera, Chardonnay, Cabernet Franc. Coming soon: Sauvignon Blanc, Merlot and Semillon.